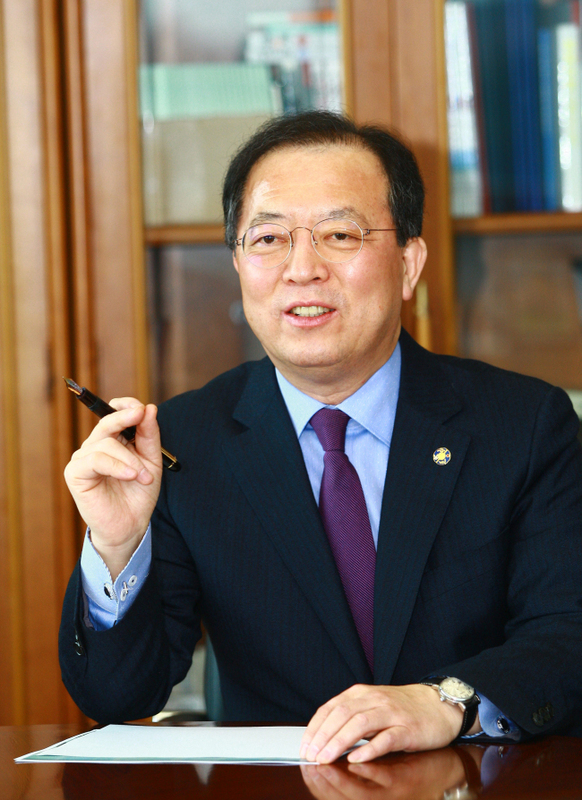 Hong Seung-pyo, CEO of the Gyeonggi Tourism Organization, has high hopes of revamping the bleak demilitarized zone into a tourism destination. This year, Hong established an ecological tourism zone and held concerts, exhibitions and educational programs by the inter-Korean border. One of the province’s tourism success stories is at Camp Greaves, the US Army base set up at the DMZ following the Korean Armistice Agreement of 1953 and closed down in 1997. It was reopened for tourists in 2013, and was the backdrop for the pan-Asian hit military drama “Descendants of the Sun” early this year. Since then it has become a top hallyu tourist spot. The joint training area featured in the drama has been renovated, while accommodations and indoor sports facilities are undergoing refurbishment. Plans are underway to create tour packages that encompass the area’s diverse specialties, which range from the dairy industry and vineyards to snow parks with sledding facilities and water parks. “An estimated 6 million tourists are expected to visit Camp Greaves,” Hong told The Korea Herald in an interview last week. Hong, who became the head of the GTO last year, makes a point of putting himself in the shoes of foreign tourists in order to make detailed improvements. This year, the GTO launched a multilingual website, providing services in English, Japanese, Chinese and Thai, and opened an account on Chinese social media platform Weibo. It has actively collaborated with major Chinese travel agencies to create packages for Gyeonggi Province. Hong has also sought to invigorate the area’s MICE industry – the travel market for meetings, incentives, conferences and exhibitions. With a budget of 800 million won ($682,000) for MICE support, GTO has been promoting its facilities and activities abroad. “The MICE industry will take Gyeonggi Province’s tourism to the next level,” Hong said. On a more day-to-day level, Hong has revitalized a cafe street in Bundang, just south of Seoul, and opened theme parks spotlighting the hit hallyu variety show “Running Man” and traditional culture. Hong is additionally putting in efforts to host medicine-related conferences in the area in the future. “We expect positive economic ripple effects from such seminars, which will lead to full reservations of lodgings and restaurants,” he said.